In order to keep this mommy organized and going I found that a good diaper bag is a must have. Of course it couldn't hurt for it to be fashionable too. When you step out of the house with a baby YOU MUST BE PREPARED. You never know when you are going to be spit up on, peed on, pooed on, well you get the idea. 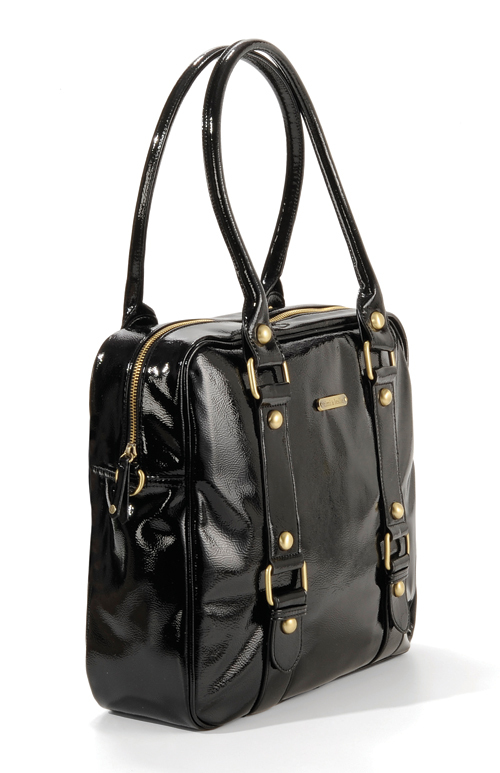 So having a diaper bag big enough is the key. I got this Timi and Leslie off of Hautelook when I first found out I was pregnant. I can fit everything but the kitchen sink in this sucker! It has a ton of pockets (I love organization!) 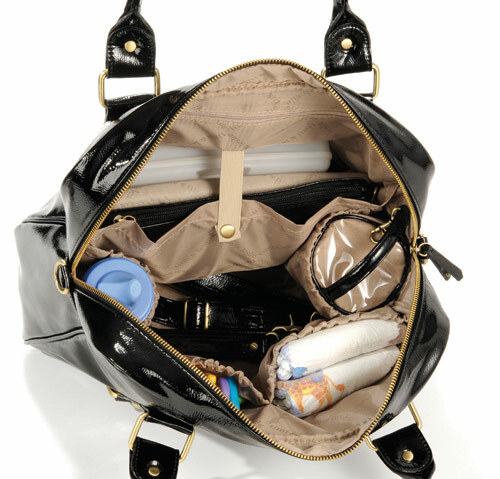 for everything you need to fit in there for baby plus there is room for mommies snacks, water, wallet, blackberry, etc. 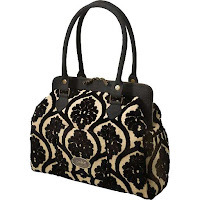 This one is probably by far my favorites because I can fit so much in it and it matches almost everything I wear (I got a garnet/purplish color). I can fit way more in mine then this, but it just gives you an idea on how big it is. It is also very deep which most diaper bags are not. I also have the Petunia Pickle Bottom bag in "Cake". Are they not the most drool worthy bags ever?!! Hence why I HAD TO HAVE ONE! It was a plus that it was named "Cake" too. The bag had me at hello (I have a hard time resisting cake/cupcakes things). One of my girlfriends who doesn't even have any children told me "that is the most gorgeous bags I have ever seen" when I showed her my new purchase. 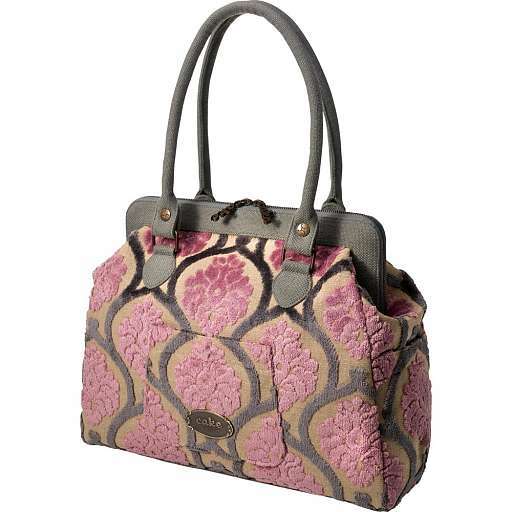 Now, this bag is definatly eye candy, however it really is not roomy inside. I can't fit too much in there, however it is nice when I know I am just running out for a little bit and don't need much for the little guy. I can get a few diapers in there, wipes, bottle, blanket and maybe a toy if im lucky. I do like having both options but I would probably say that the first bag, the Timi and Leslie bag works with my lifestyle. I am on the go a lot with him and this bag makes my life so much easier and when a product makes my life easier then, well, I am your girl! So I'm totally not a parent but that yellow Petunia bag is calling my name!!! So lovely!